Recent rains have eased drought conditions in many areas in the state, leading Gov. 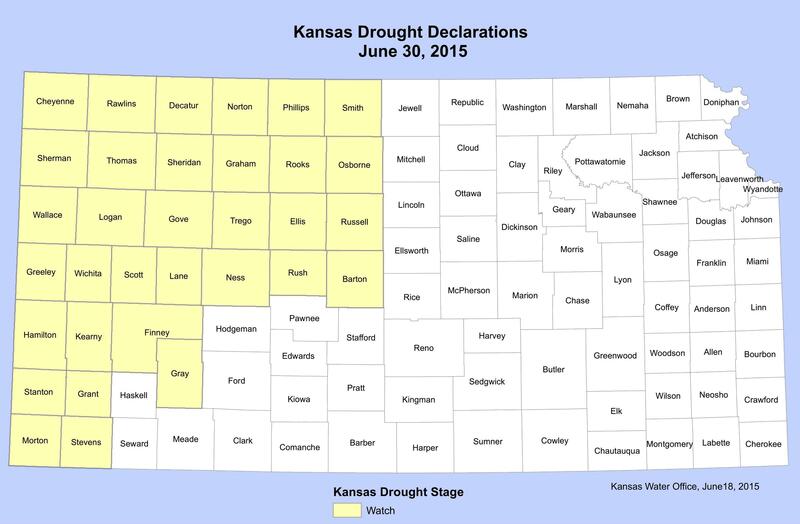 Sam Brownback to update the Drought Declaration for Kansas counties. For the past year, all 105 counties have either been in an emergency, warning or watch status for the drought. Last summer, Sedgwick, Harvey and Butler counties were all in the emergency category, now they’ve all been removed. The governor’s order declares 72 counties drought free. Thirty-three counties remain under a watch. The Kansas Water Office recommended the action. Spokesperson Katie Patterson-Ingels says it will still take some areas years to recover. 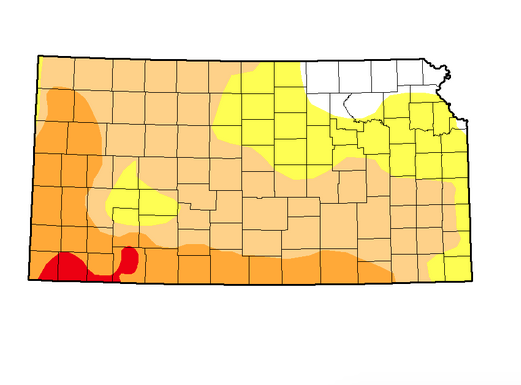 The governor’s Drought Response Team will continue to watch the situation closely and work to minimize the effects the drought still has on Kansans.